As Insight’s founder and CEO, Nancy enjoys bringing her vision to life – building exceptional workplaces for her clients by developing their human resources. Her passion for linking people performance to increased business performance has a proven track record, both for her clients and the Insight team. Under Nancy’s direction, Insight has built its own exceptional workplace; one that is repeatedly recognized by the Boston Business Journal as a Best Place to Work in Massachusetts and on the national level by the Stevie Awards as Employer of the Year and as Best Overall Women-Owned Service Business. Nancy was featured as one of six “Women to Watch” in New England by the Boston Women’s Business Journal. Nancy takes great pride in partnering with Insight’s clients to realize their own dreams for success. 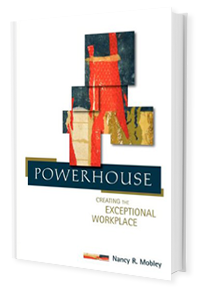 Nancy’s book Powerhouse: Creating the Exceptional Workplace pays tribute to Insight’s partnership with clients in building their own exceptional workplace. Prior to founding Insight, Nancy was a Senior Consultant and Team Manager for Watson/Wyatt Worldwide (now Towers Watson) where she led complex organizations in developing effective performance strategies. Nancy began her career in HR at Prime Computer by managing strategic business partnerships, compensation, benefits, training, and employee relations functions. 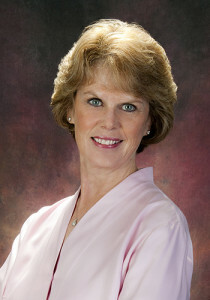 Nancy is recognized as a coach, teacher, and author in the area of building high performance work environments. A graduate of Wheaton College, Nancy is certified as a Senior Professional in Human Resources (SPHR) by the Society of Human Resource Management.